Black caviar is perceived everywhere as a royal delicacy. Naturally, this product should be served properly. 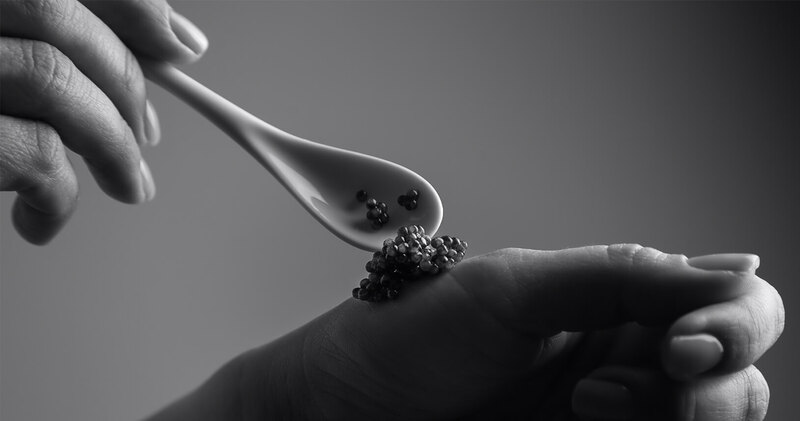 Maybe we are little snobbish, but the truth is that you cannot simply eat caviar. You have to taste it as well! So what is the proper way to serve caviar? First, don’t forget that caviar is very sensitive to temperature. In order to preserve freshness, taste and visual appeal, it needs to be cooled in a suitable way before serving. You can store it in the fridge, but never — under any circumstances — should it be put in the freezer. You should chill dishes for serving caviar, however. Dishes should be glass, preferably crystal, although porcelain is allowed. The most important thing is to install a caviar plate (or cup) in the middle of a wider tray filled with crushed ice. Ice will provide you with a fresh aroma throughout the evening. When setting the table, please leave the silverware in the cupboard. Even a wooden spoon will inflict less damage on the taste. Any metal will interact with the caviar, leading to an unpleasant metallic taste. Silver cutlery tops the “never use” list. 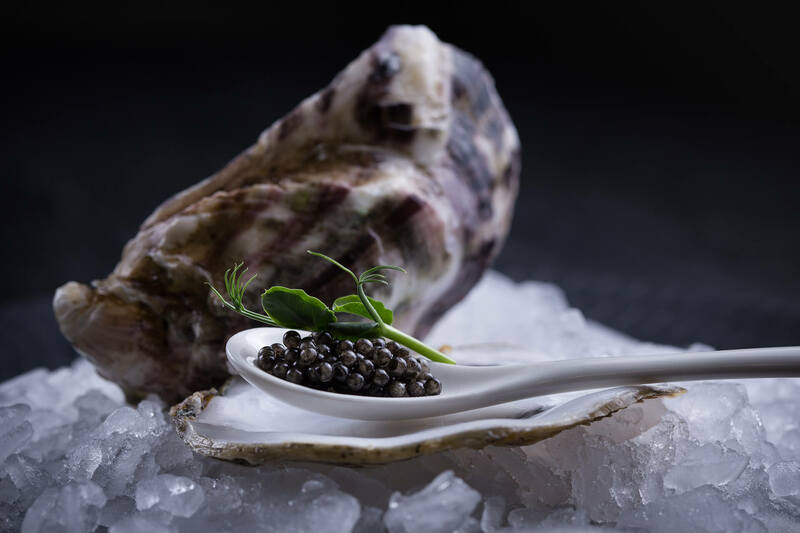 Black caviar deserves to be savored using special accessories made either of ivory or turtle shell, or, occasionally, mother of pearl. If your holiday porcelain collection includes additional accessories, then dessert porcelain plates, spoons or scoops will prove to be useful. What goes with black caviar? This is a question that many who are new to the taste of caviar ask. In short, there are endless ways to eat our black gold! What often comes to mind for many in our region are the thin pancakes during the days before Lent, a period known as Shrovetide. As a general rule, caviar is wonderful company for breads and flour dishes. Italians, for example, have adapted it to their national tastes, adorning their famous pasta al dente with black caviar berries. In our area, we are more accustomed to small sandwiches with butter. For these sandwiches, we recommend using dark breads made with high-quality rye flour. We can also attest that black caviar goes well with warmed, but not hot, toast. It would be strange indeed if caviar did not mix well with other seafood. A great example is pairing caviar with fresh lobster. No less exquisite is "black gold in a pearl." 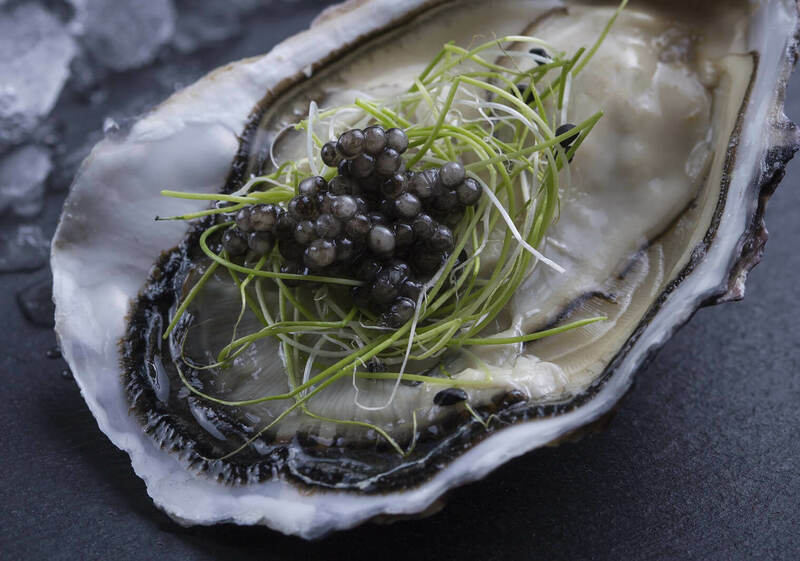 This delicacy calls for caviar served inside oysters, as if it were a precious stone. Crushed ice and lemon slices are obligatory. Caviar also goes well with fish and is an elegant starter with vegetables. 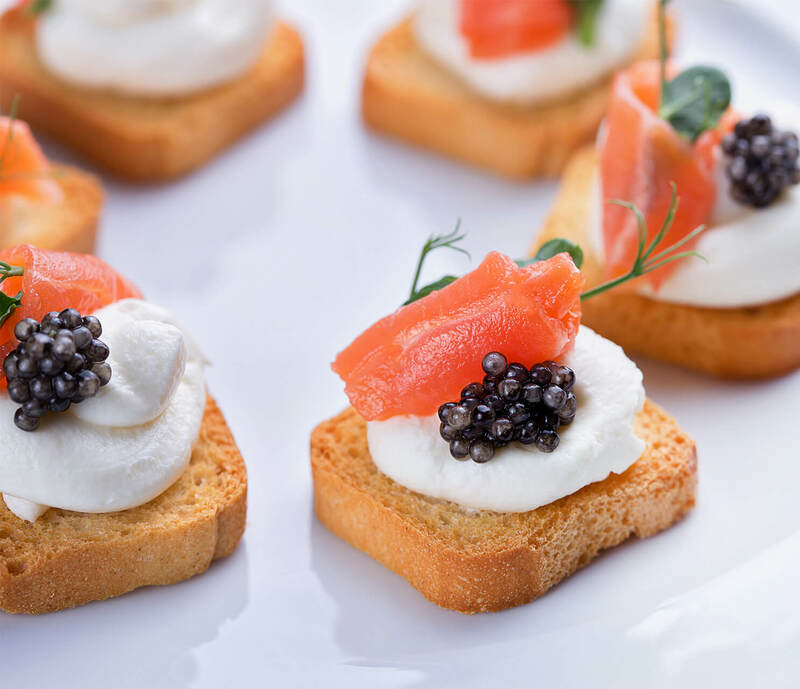 At parties, caviar is sometimes served on halves of hard-boiled eggs, where it replaces egg yolks. You first taste this perfect inner filling and then bite into the boiled white of the egg. Another unique presentation is caviar with baked potatoes. In this recipe, half-cut, warm potatoes are filled with it. The dish seems like a unified whole and is eaten that way. 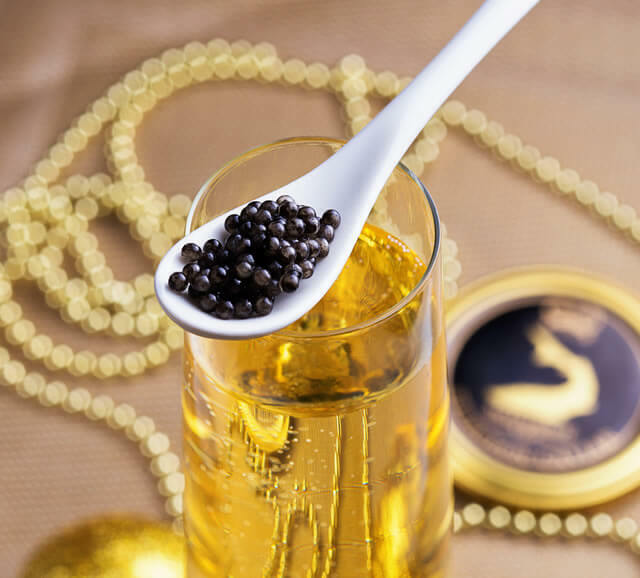 By its nature, caviar is always associated with high quality alcohol. Champagne (brut) and other white wines in moderate amounts perfectly emphasize the bright taste of caviar from various species of sturgeon. 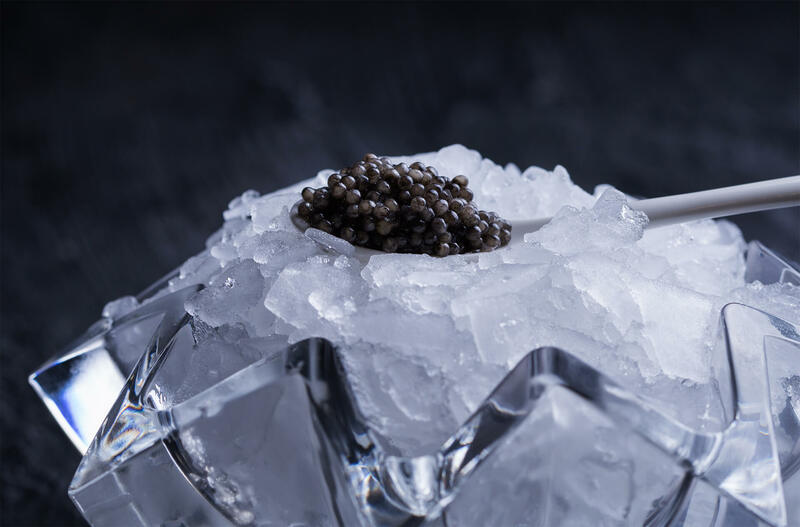 We believe that those who prefer stronger drinks will enjoy the Eastern Slavic tradition, which calls for pure, ice-cold vodka to accompany the black caviar. The answer, of course, is yes. So, why not try our caviar? Let yourself, and your guests, indulge. Feelings are more valuable than money!